Home Unlabelled How to calculate UTME screening score. How to calculate UTME screening score. The Joint Admissions and Matriculation Board, JAMB, last year approved a new Post-UTME admission screening system for all candidates seeking admission into various tertiary institutions in Nigeria. It was called JAMB Point-System. This was necessary following the scrapping of Post-UTME test by the Ministry of Education. It is now expected that the new admission screening system will take full effect during the 2017/2018 academic session admission exercise. Now, following the conclusion of the 2017 JAMB UTME exam, we atUNN INFO wish to enlighten candidates and the general public on how to calculate Post-UTME admission screening scores with their O’level resuts (WAEC & NECO respectively). UTME Examination questions will vary per candidate. 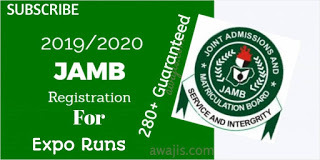 Candidates who score above 250 will gain merit admission by JAMB into the institution of choice. Scholarship may be awarded to candidates with a score of 280 and above in various institutions for a 4-year degree program. Note: Before a candidate can be considered for screening, he/she must have been offered a provisional admission by JAMB. 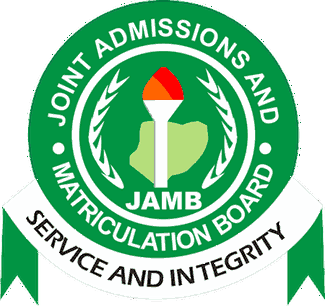 The JAMB admission checker portal is going to be opened soon for this process. Candidates who submits only one result which contains his/her relevant subjects already will be allotted 10 points. The exam could be NECO, WASSCE, November /December WASSCE etc, but any candidate who has two sittings only gets 2 points. So this means that candidates with only one result are at an advantage but only slightly. O’ Level grades has it’s equivalent grade points as; A (A1) = 6 marks, B (B1, B2, B3) = 4 marks, C (C4, C5, C6) = 3 marks, so the better the candidates’ grades, the better his or her chances of securing admission this year. 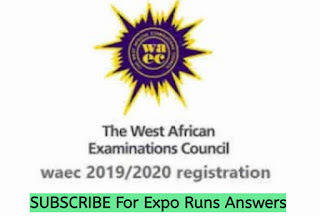 UTME scores, where each score range has its equivalent point can be summarised thus, 180-200=20-23 marks, 200-250=24-33 points, 251-300=34-43, 300-400 = 44-60 points. Each category would contain five JAMB results per point added. Eg. a candidate with 180-185 gets 20 points, while a candidate with 186-190 gets 21 points. Sittings: Assuming you have all your required O’level subjects in one sitting, you already have 10 marks. O’Level: Let’s say you have 1A, 5Bs and 3Cs in your O’level result (WAEC/ NECO/ GCE), then you have, (1×6) + (5×4) + (3×3) = 35 Points. JAMB Score: Then, say you scored 250 in JAMB UTME, you get 33 Points. To get the total point, you sum everything together (i.e: Sittings + O’level + Jamb Score). This implies that – 10 + 35 + 33 = 78 Points. If the cut-off mark for your course of choice in a particular school is below 70, then will be admitted into that institution. (i) Catchment and educationally less-developed state would still be used for admission into the nation’s tertiary institutions. (ii) Merit admission contains 45 per cent of the total candidates for a particular course, Catchment contains 35 per cent and Education Less Developed Areas (ELDs) and staff lists contains the rest. (iii) Cut off marks will be released by the institutions this year in the form of points and not marks. (iv) The point system for direct entry would be released soon.